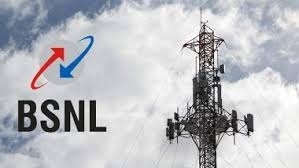 State-owned telecom firm Bharat Sanchar Nigam Limited (BSNL) has failed to pay the February salaries to around 1.76 lakh employees due to its financial crisis. This is the first time the company has defaulted in payment of its monthly salaries. The salary for the month of February has been delayed by more than 10 days. The associations and unions of BSNL have also said that the financial health of the telecom industry has suffered because of the predatory pricing of Reliance Jio. “Financial crisis is being faced by other operators also but they are managing the situation by infusing huge amounts,” a letter by All Unions and Associations of BSNL (AUAB) to Sinha said. Even March salaries will be delayed by a few days despite the fact that cash flows in the month are usually higher because of billing from the enterprise business.